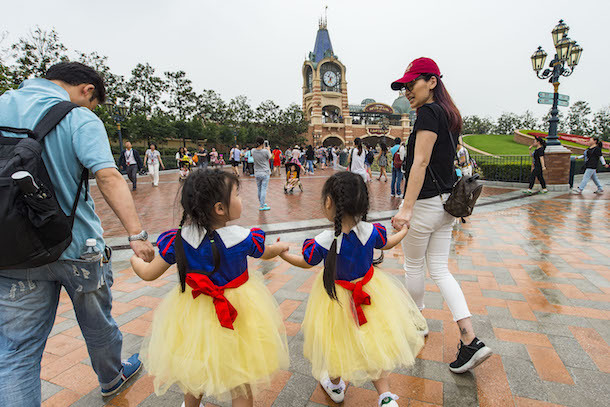 Shanghai Disney Resort, the first Disney resort in Mainland China and the sixth worldwide, celebrated its historic Grand Opening June 16th, culminating one of Disney’s most ambitious projects ever. 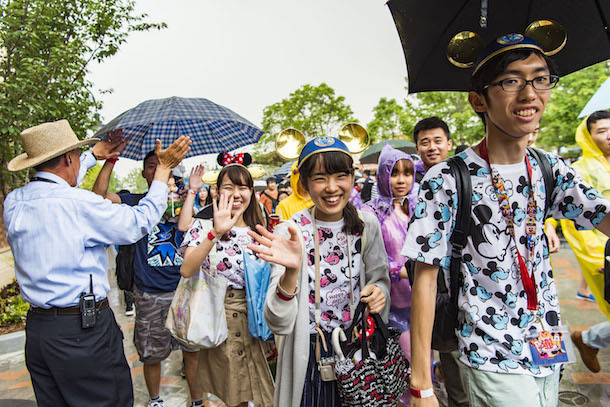 Bob Iger, chairman and chief executive officer of The Walt Disney Company, celebrated the opening of the one-of-a-kind vacation destination with thousands of distinguished guests, celebrities and Chinese officials. The Grand Opening ceremony marked the moment with music, pageantry and a stream of Disney characters, from Mickey Mouse and Snow White to Baymax and Jack Sparrow, in front of the iconic Enchanted Storybook Castle. A multi-generational choir performed a unique version of the Disney song, “When You Wish Upon a Star,” arranged in a Chinese style to reflect the balance of Disney magic and China’s cultural spirit at Shanghai Disney Resort. The ceremony also featured six performers holding enormous, brightly colored fans to represent the six lands of Shanghai Disneyland. 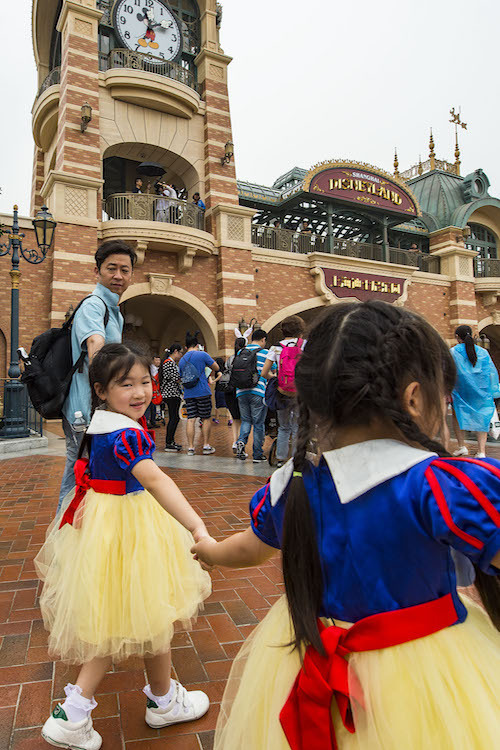 Following the official dedications, tens of thousands of guests entered Shanghai Disneyland on its Grand Opening day to explore world-class attractions and live entertainment spectaculars­—many being offered for the first time in a Disney theme park. 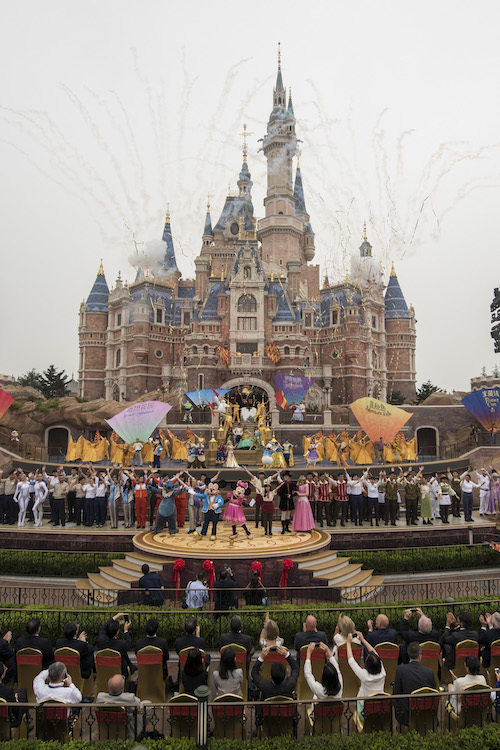 The three-day Grand Opening event also included two red-carpet occasions: Tuesday’s premiere of the first Mandarin production of THE LION KING, now showing at the Walt Disney Grand Theatre, and Wednesday’s gala concert with celebrity performers at Evergreen Playhouse in Shanghai Disneyland. “This is also a dynamic and exciting time for our Parks & Resorts – with another very strong performance in Q1 and plenty to look forward to, including the spectacular Shanghai Disney Resort. I was in China the week before last and saw amazing progress — we just topped off our signature Shanghai Disneyland Hotel… and we’re nearing completion on iconic features throughout the park, including the largest castle we’ve ever built… and we’re getting ready to start casting the hundreds of performers we’ll need to entertain our guests. It’s thrilling to see Shanghai Disney Resort rapidly coming to life. The artistry, complexity….the magnitude…and the detail….it’s all quite astonishing. As you’ll recall, after we broke ground on this incredible resort, we announced an $800 million expansion, significantly increasing both the size of the park and the number of attractions available to our guests on opening day. Even with that expansion, we will complete major construction by the end of this calendar year, and we’re planning a spectacular grand opening in Spring of 2016, which we believe is the optimal time to showcase the full grandeur of this world class destination.” – Bob Iger. As you know, Shanghai Disney Resort is one of the most ambitious projects we’ve ever undertaken at Walt Disney Parks and Resorts, and I know that all of you are as excited as I am to see what’s planned for our first-ever theme park resort in mainland China. Just this week, we unveiled a first look at new creative images of both the reimagined attraction based on the world of Pirates and the new hotels under development. Shanghai Disneyland will be home to the first-ever Pirates-themed land-Treasure Cove-and an E-ticket attraction called Pirates of the Caribbean: Battle for the Sunken Treasure. The attraction will feature a combination of new technology and innovation and will take guests on a pirate adventure with Captain Jack Sparrow and Captain Davy Jones, providing an experience unlike anything else in the world. 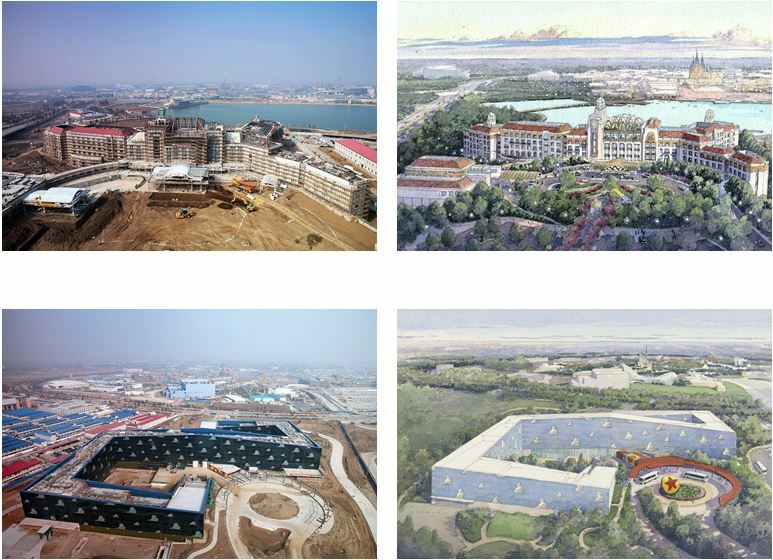 The resort also released new aerial images of the Shanghai Disneyland Hotel and Toy Story Hotel. The topping out of Shanghai Disneyland Hotel took place just 12 months after its vertical construction started. With 420-rooms, it will be the signature hotel of Shanghai Disney Resort, featuring an elegant Art Nouveau style with a touch of Disney magic and imagination, and stunning views of Shanghai Disneyland, Disneytown and the resort’s central lake. The topping out of Shanghai Disneyland Hotel adds to the list of milestones since vertical construction of the resort started 15 months ago, including: the topping out of the resort’s first building in Disneytown in December 2013, the 800-room Toy Story Hotel in January 2014 and most recently Disneyland’s “mountain” feature in December 2014. All of these milestones showcase the progress we are making to share wonderful Disney stories with the people of mainland China. Stay tuned for more updates on Shanghai Disney Resort!